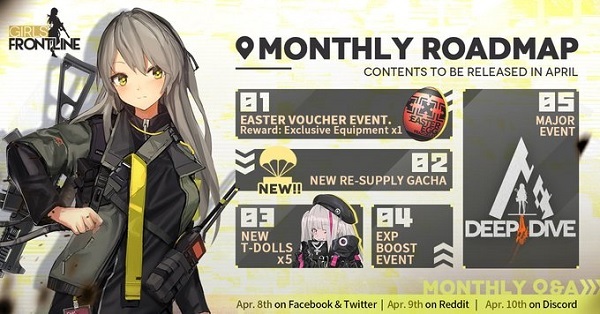 Today, Girls' Frontline EN has announced their upcoming Easter event and the major Deep Dive event. Meanwhile, Dolls' Frontline/Girls' Frontline JP will be having their maid theme gacha and fairies. In terms of feature updates between English and Japan servers, the Japan server seems to be getting slightly behind.